Sometimes in the colder months a soft top just isn't enough to keep the heat in your Wrangler JL. 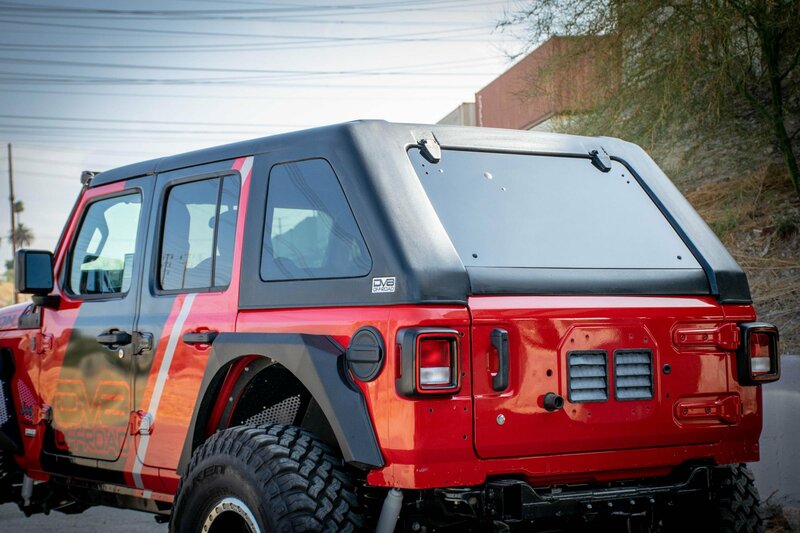 The insulation of a hardtop makes it very tempting to protect from the cold but don't just get an ordinary hardtop, get one that will make you stand out from the crowd. 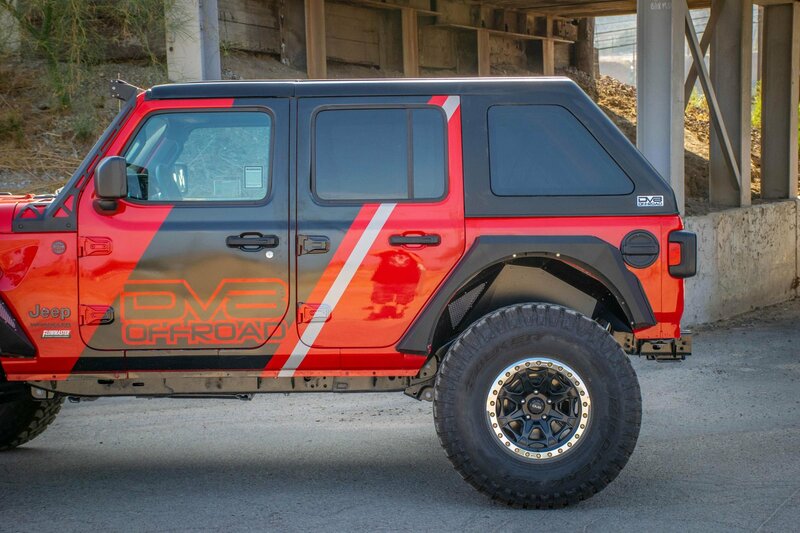 DV8 Offroad's Ranger Fastback Hardtop will give you all the benefits of a normal hardtop but will also give your Jeep a slick look too. This highly advanced aerodynamic top produces little noise and the interior of the top is line with carpet. 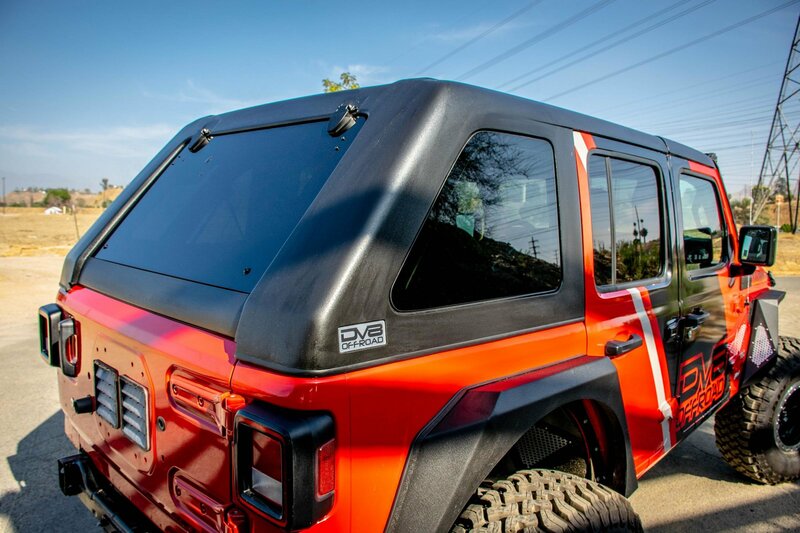 Finish it all off with tinted windows makes this top a must-have if you are in the market for a hardtop. 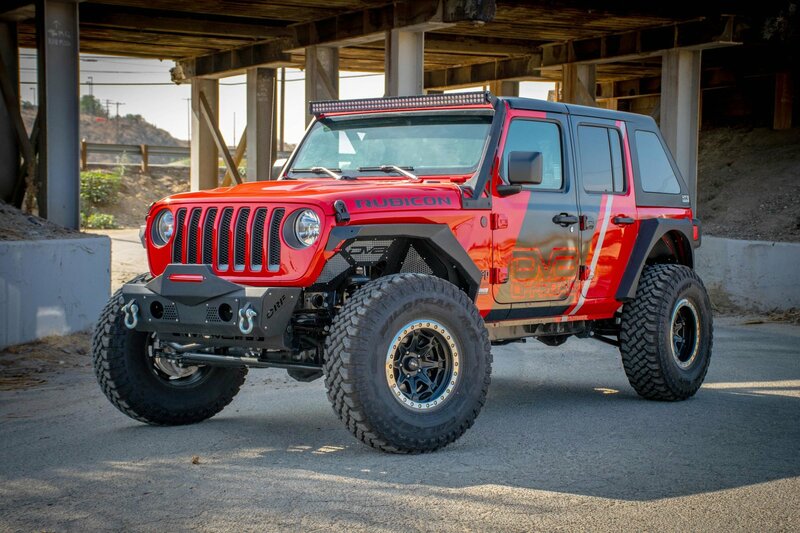 Fastback Design: Gives your Wrangler JL a great look while the aerodynamic design helps produce one of the quietest hardtops on the market. Features: 2 piece hardtop where the front section comes off above the front seats like a targa top would. High quality seals & fiberglass to keep out moisture and last under extreme outdoor conditions. Carpeted interior along with tinted windows. OE Fitment: Uses OEM mounting system giving you and easy no modification installation along with OEM seal placements so you will not have to worry about leaks. 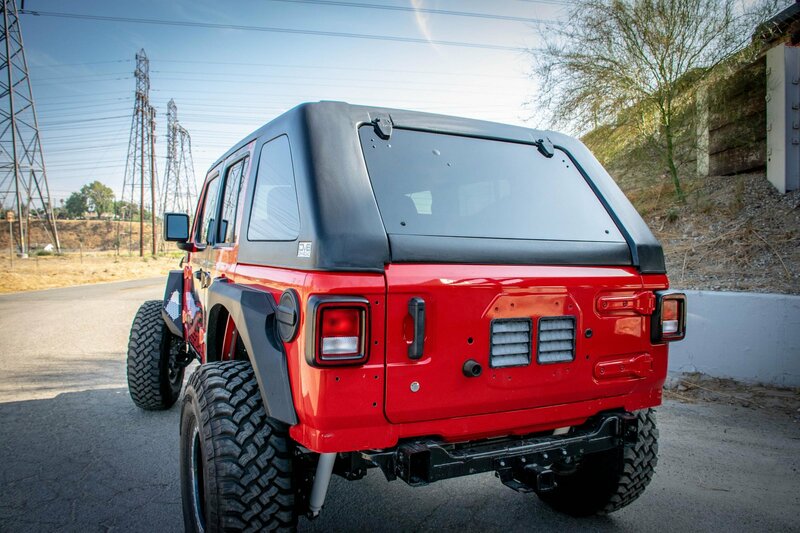 Does this Fastback Hardtop fits together with the Bestop Sunrider for Hardtop for 18-19 Jeep Wrangler JL ?